On behalf of all of the Primary Staff Team we would like to take this opportunity to extend a very warm welcome to each and every one of you. We are extremely proud to be a part of AAESS and to work as a member of our school family in partnership with children, parents, staff and the wider community. AAESS Primary is a child centered school. We recognise that every child is an individual, and that learning is a very personal experience. Our school is a unique community of learners. All the actions we take have the best interests of the children in mind – ensuring they receive their entitlement to the highest level of education possible, regardless of race, gender, religion or individual learning needs. We believe that teaching is not the imparting of knowledge, but the enabling of children to take responsibility for their own learning. Our aim is to provide an environment where every child feels it is safe to try something new, safe to make a mistake and safe to succeed. All our children have the opportunity to develop as a valued member of the school. We aim for academic excellence, as shown in our end of year results, and celebrate effort and achievement with equal enthusiasm. We believe that children work better and learn more effectively in a happy atmosphere based upon courtesy and respect for one another. Children need to have choices, but they also need boundaries and therefore, our positive discipline policy is based upon firmness, fairness and understanding. Each of us strives to set an example for others by treating everyone with respect and politeness. Assessment for Learning forms part of the daily life of our school. Data from a number of sources, including children’s self and peer assessment, is used to help develop policy and practice. Such data provides useful information, which can then be used to inform the ongoing process of curriculum development and lead to the further raising of educational standards. The importance of such information must not, and should not, be underestimated – though at AAESS Primary we passionately believe that some of the most valuable outcomes of primary education, such as fun, enjoyment, friendship and personal achievement, cannot be so easily measured. As members of the global community we have come together at AAESS from all four corners of the earth. Our school culture and curriculum is one which welcomes and celebrates the richness and diversity of everyone it embraces. We accept our responsibility to challenge prejudice and to learn tolerance and respect through understanding. 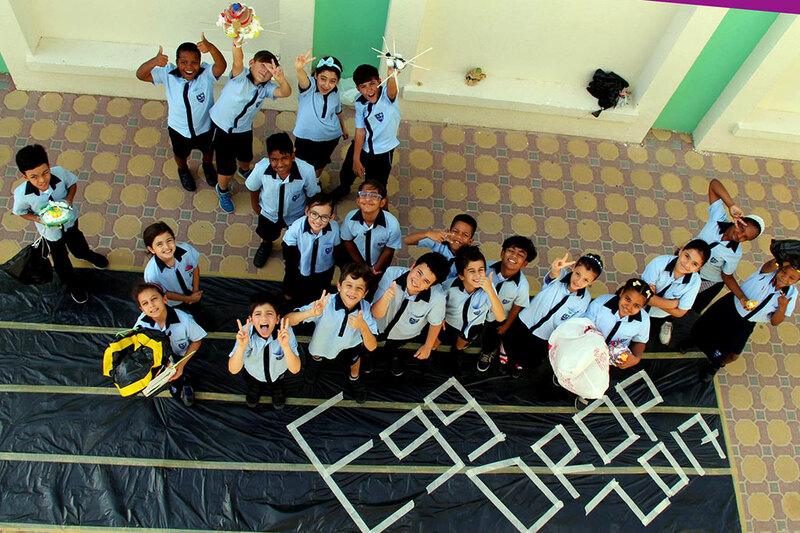 Our school does not exist in isolation, but is a fundamental part of the lives of many of the people of Al Ain. Therefore, our long term goal is to develop into a centre of learning for the community we serve. At AAESS Primary we firmly believe that it is the uniqueness of each and every one of us that can bring us closer together as a school family and which will help each child take his or her place as a citizen of the world. We are proud of our children and are always pleased to make new friends. If you wish to pay us a visit, you’re always sure to be made most welcome.